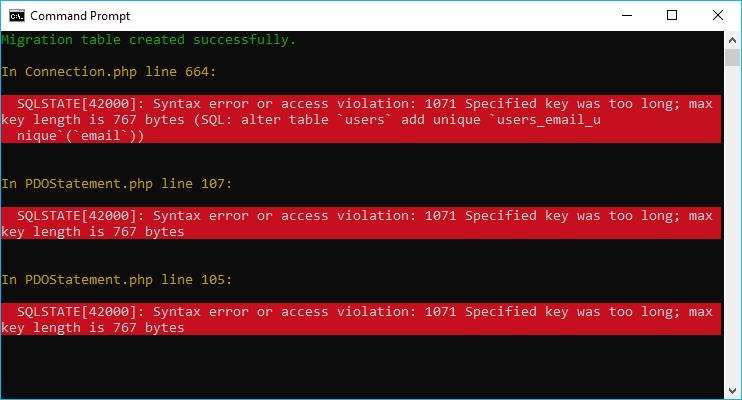 Learn how to fix the specified key was too long exception on laravel during schema migrations. Learn how to highlight code in the server side with the PHP port of HighlightJS in your Laravel project. Learn how to retrieve information about any cryptocurrency with the free API of CoinMarketCap in your Laravel project. Learn how to merge (join or combine) multiple PDFs into a single one in Laravel. Learn how to create a cached client instance of Guzzle using the file system cache model in your Laravel project. Learn how to configure easily a virtual host for your Laravel project (with local domain) in Xampp for Windows. Learn how to create a custom console command for the laravel CLI artisan. Learn how to send emails in Laravel properly using SwiftMailer. Learn how to create an excel file using PHP office in laravel easily.